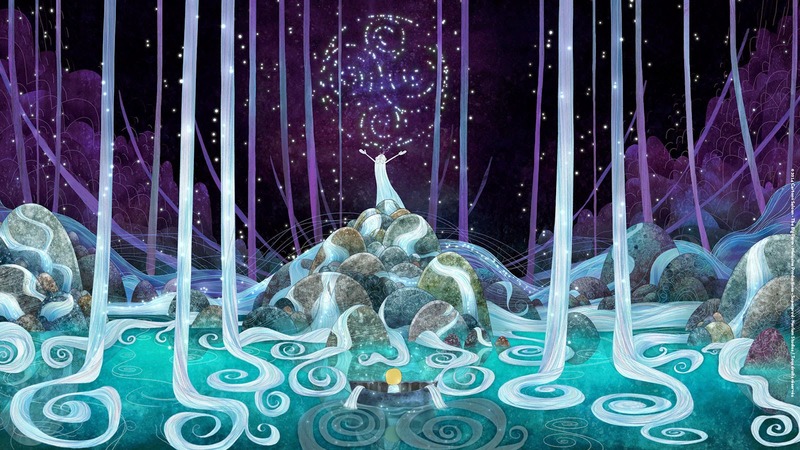 Tomm Moore, director of The Secret of the Kells, returns after a five year hiatus to bring us Song of the Sea, another animated film, this time steeped in Irish mythology. 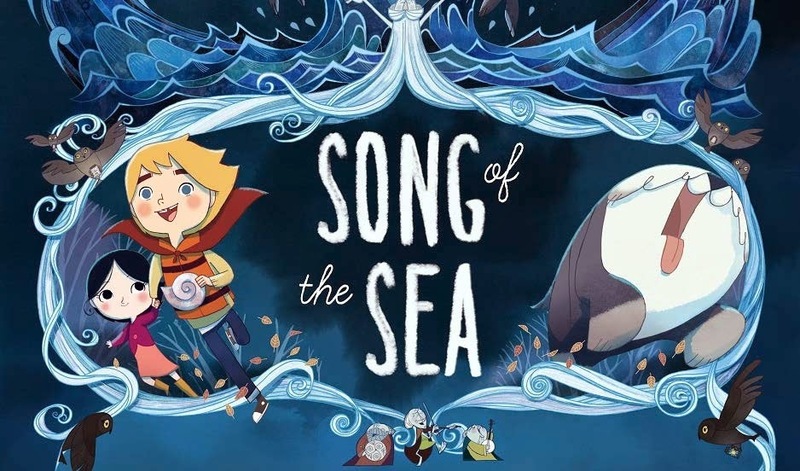 Song of the Sea follows an Irish family consisting of a father, son, and daughter, all of whom are dealing with the death of the mother in different ways. The father has closed himself off and become a quiet man while the son, Ben, obsesses over the folk tales that his mother told him as a toddler. Saoirse, the daughter whose birth coincided with the mother's death, is six years old but does not yet speak, and she longs for the approval and friendship of her brother, who resents her for taking his mother away. 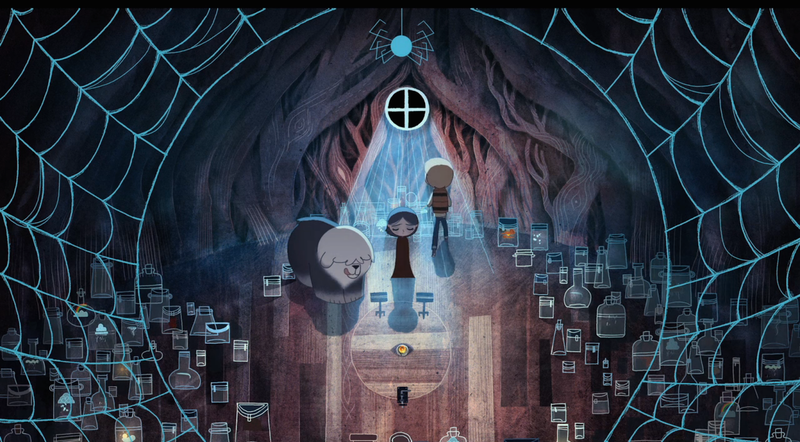 After she discovers that she is a selkie, a person able to transform into a seal, her grandmother takes her and Ben away to live in the city. They quickly escape and go on an adventure to get back to their lighthouse home as the stakes get higher and higher. 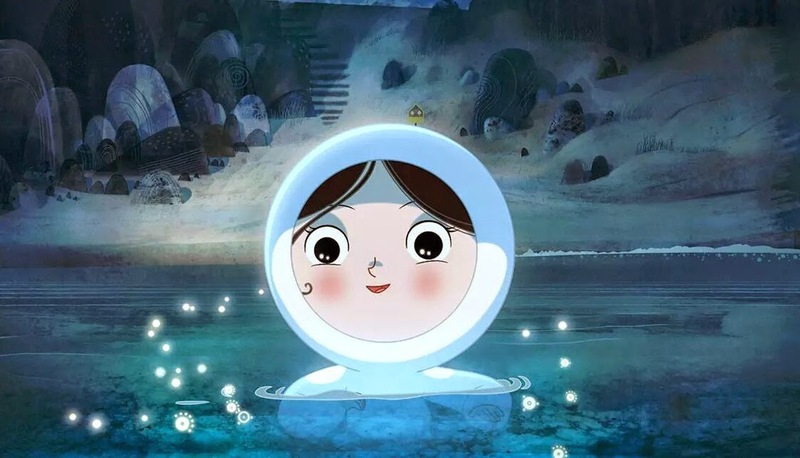 Song of the Sea is a family movie. Although I also mean that it's an all ages movie that legitimately can be enjoyed by children and adults alike, what I mostly mean is that it's a movie about family. It begins as a tender portrait that is visually contained to the mother, father, and son by beautiful animated framing, and slowly and gracefully clues us in to what exactly has happened that turns this idyllic life into one of stark sadness. It's hard to begin to review the film without first attempting to describe how beautiful it is, visually and otherwise. The animation style is something akin to a more European version of Genndy Tartakovsky's work on Samurai Jack, with a very painterly look. It is aurally lovely as well, with traditional Gaelic song playing a big role in the story, orchestrated and reprised in a way that will keep you humming it for days. While it is aesthetically gorgeous, this doesn't distract from the extremely well crafted emotional arc of the characters. What is so brilliant here is the way the film uses folk legends as parallels to its main characters; rather than give us a realistic history of the family and details of the events that lead to their current state, the fantastical journey that Ben and Saoirse embark on uncovers mythology that mirrors each member of the family. In this way, there is subtle character building that doesn't bog down the child-like nature of the story with adult details–but gives an adult viewer a lot of understated and explorative bits of history for its characters. Additionally, the central themes are atypical and quite rich. The villain of the plot is a witch who's power is to bottle up painful emotions, turning her victims into stone. This plays perfectly into the family drama that is unfolding in the background, where the family has been rendered inert by the tragedy that has befallen them. What makes it especially fascinating, though, is that the witch performs her spell continuously on herself as well each time she feels angry or sad, making her less a villain and more a victim that needs help as well. My only complaint about the movie is that it seems to have difficulty picking a protagonist. For most of the movie this seems to be Ben, although the trailer and many parts of the movie focus on Saoirse. They are both interesting characters, but with Ben more or less taking the lead, he is less fleshed out. There is no parallel for him in the mythology, and it isn't explained why he didn't gain the transformational power of the selkie from his mother as Saoirse did. The first act of the film starts to play with the idea that he is resentful and jealous of Saoirse's power and connection to his mother, but this thread soon falls to the wayside as the adventure truly begins. While I wish some of these things were explored a bit more with Ben, the rich cast of characters and elegant scripting make up for it. Add to this the absolutely gorgeous look and feel of the film and the unique storytelling and it's hard not to love this movie. It's one of the most emotionally impactful films I've seen in a while, following in the large footsteps of films like My Neighbor Totoro and Spirited Away that explore adult themes of family dynamics and tragedy beautifully through the eyes of children with a wonderful sense of magical realism. This is a must see for animation fans especially, but is a truly superb film, period. 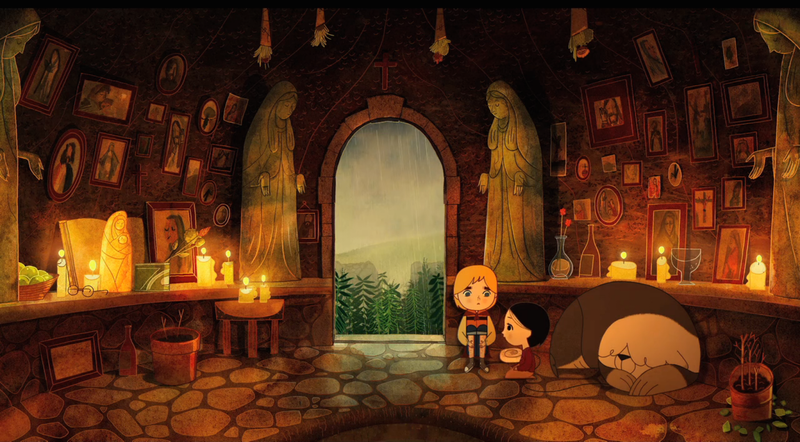 For Atlanta readers, Song of the Sea will open at Landmark's Midtown Art Cinema on January 23rd.